Conventional wisdom for early stages of the Main Event is to play tight and to avoid coin flips. On day one five players throw conventional wisdom out the window. The Main Event has been described as hours of boredom followed by minutes of sheer terror. The starting stacks, the structure, the huge field, and of course the promise of a multi-million dollar payday lead to slower play and a natural reluctance to get it all in on a coin flip. More than at any other stage of the tournament the play is more “raise and take it” or head ups play. 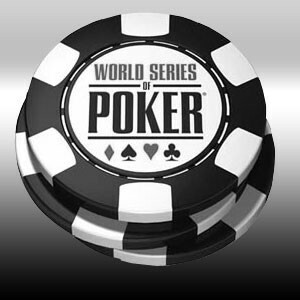 Each year at the WSOP a hand develops that runs through the poker community and is mentioned by fans and players alike. Players talk about the very first hand in the ME almost a decade ago when Sammy Farha and his opponent both hit a full house resulting in Sammy sending the player home with the quickest Main Event exit ever. They also mention the hand where one player rivers Quad Aces only to have the rivered Ace complete his opponents Royal Flush draw. In the 2003 Main Event, Chris Moneymaker’s march to poker history received a big push when he rivered a full house against Phil Ivey. Even hands that aren’t played generate reaction, as in the hand at the 2011 final table when Phil Ivey mucked a flush, which would have given him the pot. The biggest player and social media buzz of this year’s Main Event occurred on Day 1a at table 443 in the Purple Section of the Amazon Room as an unprecedented five players pushed all-in pre-flop. The Under the Gun player started the action with a normal raise to 1,100. A middle position player re-raised all in for 11,700. In the hijack seat, Mac Sohabri then moved all-in for 23,100. The button called with a 16,550 stack. The small blind folded. British pro Yucel Eminoglu then went into the take for so long that two players called the clock. Halfway through the minute, Yucel, who had the other players covered, announced he was all in. The original raiser snapped called with a healthy 40,000 stack. The board played out: 7♠, 6♥, 6♦, 7♣, 4♠. The queens held up with Mac getting the main pot of about T$98,000 and Yucel taking the side point to end the hand with T$150,300. Most of the talk among the players and on social media centered on the UTG’s 3♦, 4♦ call, which most considered questionable. However the Under the Gun player had a 19% chance of taking down a huge pot. With the pot size and being only a slight dog to the QQ’s 25% many argued that the call wasn’t all that bad. Somewhat surprisingly, a couple of hours later a three way all in hand took place in somewhat the same fashion as an early position player moved in with pocket nines, only to have a player reraise with AQ off suit and Brian Flaherty call with 10, 6. When the cards were tabled the other players were once again surprised at the lack of premium hands in a three way in in the early stages of the Main Event. They were more surprised when Flaherty rivered a straight and took down the T$103,000 pot. Flaherty stated that he had misread his hand and thought he held pocket 10s.